SILK Events kicked off the morning with a baraat that you could hear in the next down. 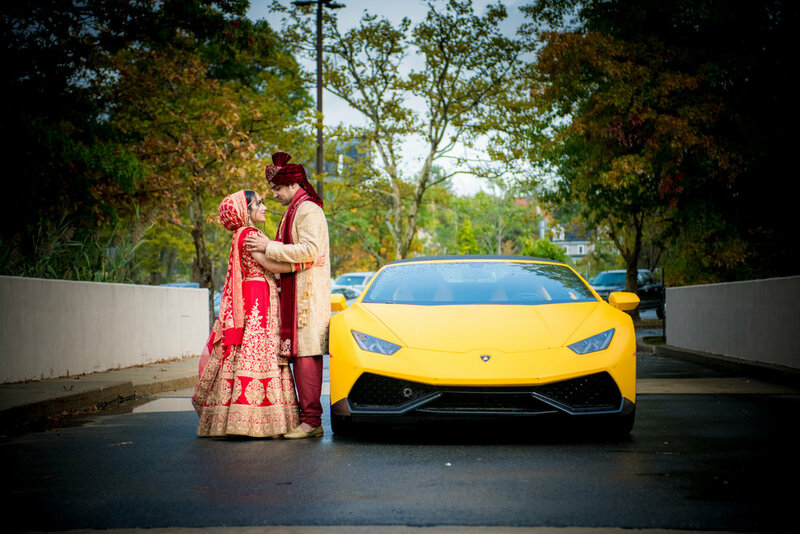 While the groom was rolling through in a Lamborghini , the dholi players were getting amped up. The Groom’s side used smoke color bombs that set off the hotel’s fire alarms and caused Woburn Police Department and Fire Department to show up in the middle of the baraat. LOL. That didn’t stop the Baraat though! 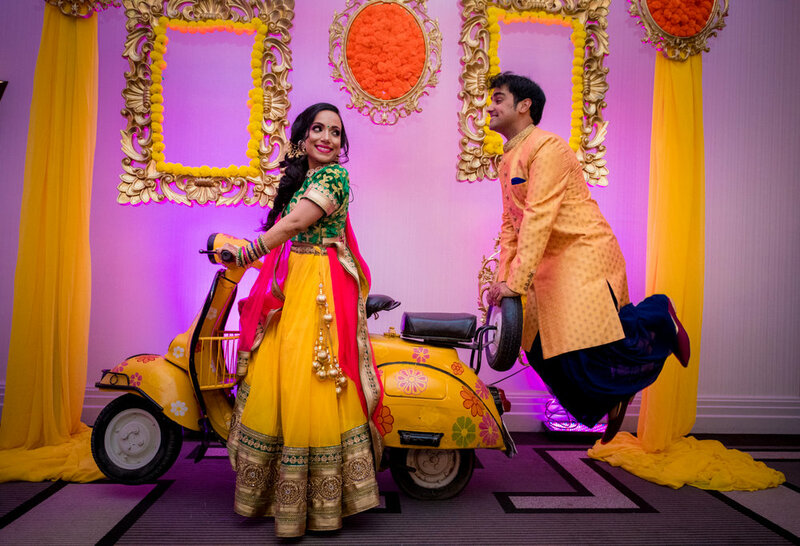 N+K had a traditional Hindu wedding ceremony that had a blend of the couple’s Punjabi and Gujurati culture. It was incredibly sweet to see how both Neha and Kashyap adapted to each other’s family rituals that were so different from their own without hesitation and with so much love. Love.Decor lit the mandap up with traditional touches of white but kept it classy with white elegant décor. But the reception décor – WOW. There was a customized dance floor that matched the Bride and Groom’s outfits! The reception stage was incredible. Lit with elegant colors through florals all around the archway and candles all around lighting the entire stage to create a soft glow. All in all, N+K went all out for their big day, as any couple would and made sure it was a night to remember for all!